1940 U.S. Census for Rosie Salas and her mother Victoria. Courtesy of Ancestry.com. Yesterday, I stated that the May 2013 discovery of the marriage records for my grandmother Rosie Salas and my grandfather Benjamin Robledo (1919-1990) was the first brickwall I overcame in the 15 years I have been trying to find information about my lost grandmother’s birthplace and family. In going back through my research records for Rosie after I published that post, I realized that I had actually discovered the 1940 and 1930 U.S. Census records for Rosie almost a year prior in July 2012, and had even saved those records. But those census records were just hunches, because I had absolutely no other information to corroborate against the biographical and family data provided about Rosie on those two censuses. I had been blindly searching for any Rosie (or Rosa or Rose) Salas born in Arizona since her Arizona birth was the only biographical information Rosie passed down to my father. The marriage record was the first source I found that confirmed the information I had found in those two census records. My hunch had been right. This appears to be the same Rosie Salas, at about the same age, with a mother named Victoria Jimenez. 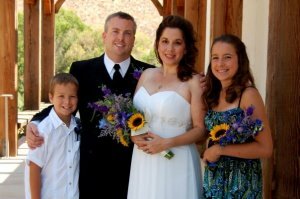 The family lived on rural Highway 99 in Coachella (Riverside County), California. Rosie (Rosa) was 15 years old, single, attending school (8th grade the highest grade completed), and not working. She was reportedly born in Arizona. Her mother Victoria Jimenez was the head of household, 48 years old, widowed, had completed up to the 5th grade, was not working, and had no income. She was reportedly born in New Mexico. A Richard Coleman is listed as Victoria’s son, meaning Rosie’s brother. He was 29 years old, single, had completed up to the 7th grade, and was unemployed for 2 weeks looking for work as a farm laborer. He was reportedly born in New Mexico. A David Coleman is also listed as Victoria’s son, meaning Rosie’s brother. He was 25 years old, single, had completed up to the 6th grade, and was employed as a farm laborer. He was reportedly born in New Mexico. The entire household lived in Phoenix, Arizona on 01 April 1935, but not on a farm. 1930 U.S. Census for Rosie Salas and her mother. Courtesy of Ancestry.com. The family lived on 23 Avenue in Orme (Maricopa County), Arizona, in a rented home on a farm. Rosie (Rosa) is listed under the surname Coleman (due to her brother being head of household), was 6 years old, attending school, but not yet able to read or write, Mexican race. Reportedly born in Arizona, with her mother and father born in New Mexico. Victoria is listed under the surname Coleman (due to her son being head of household), was 39 years old, widowed, able to read and write, able to speak English (Mexican race), and not working. Reportedly born in New Mexico, with parents born in New Mexico. Victoria’s oldest son Richard (Ricardo) Coleman is listed as the head of household, 19 years old, single, not attending school or college, able to read wand write, able to speak English (Mexican race), and employed as a general farm laborer. Reportedly born in New Mexico, with parents born in New Mexico. Victoria’s younger son David Coleman was 16 years old, single, not attending school or college, able to read and write, able to speak English (Mexican race), and employed as a general farm laborer. Reportedly born in New Mexico, with parents born in New Mexico. Richard also supported three young cousins who lived with them: Albina Mate (11), Clara Mate (9), Jauna Mate (5). All reportedly born in New Mexico, with parents born in New Mexico. My father does not recall his mother ever mentioning brothers, particularly with a surname like Coleman. But it sounds like Richard and David might have been half-brothers to Rosie, born to Virginia and a previous husband with the last name Coleman.